It often starts as a a tiny, unnoticed red or white spot in your mouth but can quickly develop into something more serious. 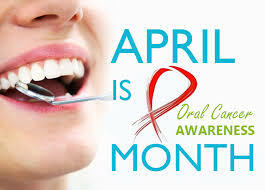 According to the oral cancer foundation “its estimated that every year there is at least 50,000 new cases in the United States, and close to 10,000 deaths per year from oral cancer” !! Early treatment can save your life 🙂 Make sure to schedule your dental visit to get screened for oral cancers, its safe to be aware and proactive about this.